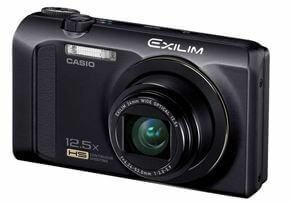 The EXILIM EX-ZR200 is the perfect choice for anyone who wants to take photos and make video recordings quickly and easily. The EXILIM EX-ZR200 is the perfect choice for anyone who wants to take photos and make video recordings quickly and easily. Thanks to the Quick Response function, the camera is not only ready for use incredibly quickly, but also has an impressively short switch-on time and very fast auto-focus function. With its Wide Shot function and 24 mm wide-angle lens with 12.5x optical zoom, the EX-ZR200 captures the smallest of details, large groups and buildings as well as complete panoramas. The 16.1 megapixels also allow you to take high-resolution, low-noise shots, full of brilliant colour. Whether HDR technology for photos and videos, Premium Auto Pro, background blur effect or high-speed continuous shooting: A multitude of functions make the EX-ZR200 the perfect partner for every occasion.